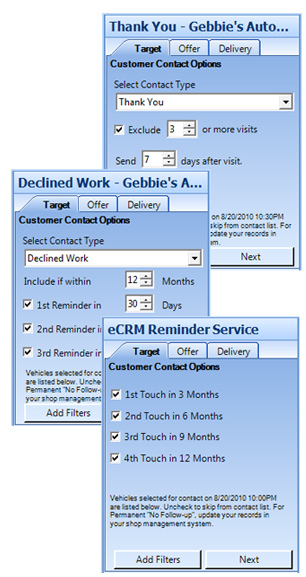 CRM 360 is a Do-It-For-Me postcard reminder service that requires no shop input other than normal daily use of your shop management system. 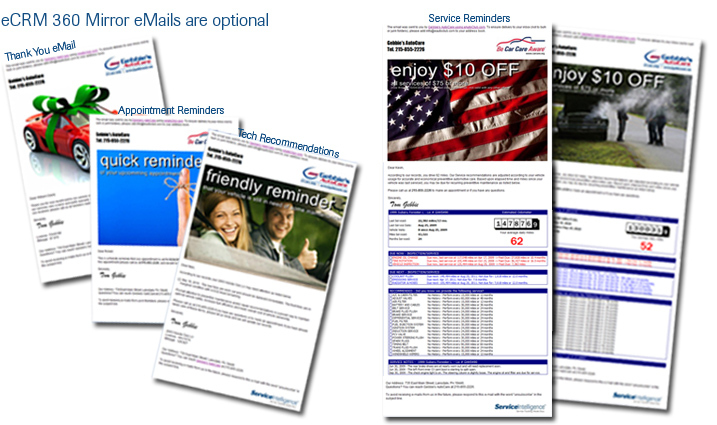 You can send postcards for Appointment Reminders, Declined Work Reminders, Thank You Cards, and Service Reminders from major shop computer systems. 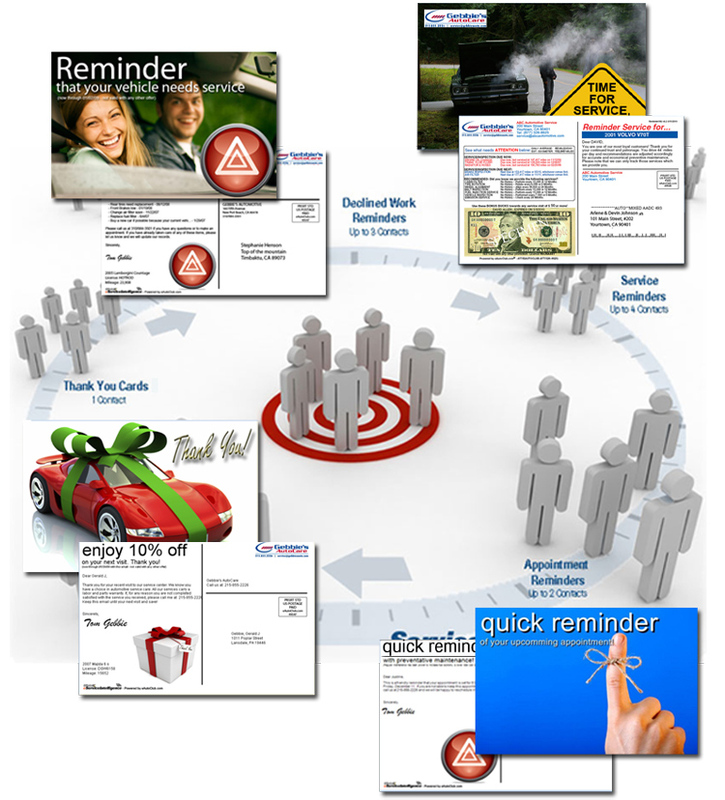 It includes a desktop publising application connected to your database where you can easily create an effective and economical marketing campaign in an instant. Your customer will love the individual care and attention to detail. No more LOF window stickers! Shop history is available to your customers supporting purchasing decisions. 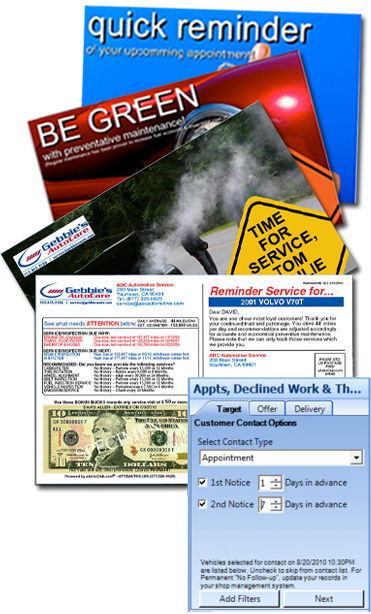 Customers service experience is improved with relevant and trustworthy service information via postcards (mirror emails are optional). The factual nature of the information inspires confidence in service recommendations boosting customer response.